You’ll notice that this makes three posts from me this week! Have I been inhabited by aliens? Sheesh! I’ll never be able to sustain this pace, nor will I try to. But here’s the ironic thing: I may have published three posts in a week, but this is the first one in which I have something new to say. My first post was an excerpt from Designed to Pray and a coloring page. The second was a guest post. In the midst of putting those together, and uploading a post for Internet Café Devotions, I realized a truth I’ve been hiding from. Well, that’s it, I guess: I’ve been hiding. But now it’s time to come clean. I feel like I’ve lost my voice. I’m not complaining, I promise; I’m just being real. I’ve struggled through the election and aftermath, knowing that my opinions are not popular ones, including among many within the Church. I’ve wrestled with what to say and how to say it. I’ve tried to stay focused on God and not politics, to only voice opinions if they’re backed by the Word of God. To only talk about it if there’s a bigger issues—living as a Christian, and what Christianity is about—not about a political issue. I’ve wondered if I have an obligation to use what little “platform” I have to try to effect change, or if I should just shush. I’m certain that I’ve offended people, in spite of very sincere efforts not to. If you’re one of those people, please accept my apology. But I’m human, and I want people to like me. Even more than that, though, I want to write and remain true to my God and my faith. And I’ve let myself go silent. So consider this my public confession. 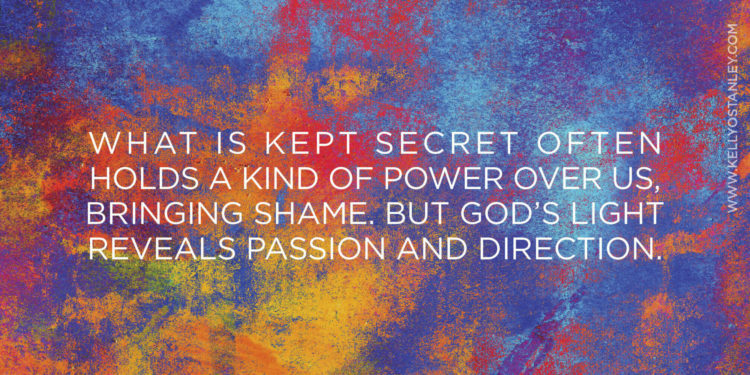 What is kept secret often holds a kind of power over us and brings shame, but I want God’s light to fall on this. So I’m revealing my insecurities to you, trusting that this is a safe place for me to be real. I’m asking God to start fresh in me. To ignite new passion and point me in the right direction. I’m asking Him questions like: What do I write next? What do people want to hear from me? And more important even than that: what does He want me to say? Now I’m bringing this to you to ask for your prayers. To thank you for walking this road with me. And to admit that I don’t have it all together. Yet I know who does have it all together—and in spite of my cynicism and disillusionment and lack of direction, I’m entrusting this to God. Because His will is my deepest desire. I don’t want to do anything if I’m not doing it with and for Him. And I’m not accomplishing anything of value on my own. Dear Lord, I find that I’m withdrawing into myself, even though I’ve experienced firsthand the truth that healing is found in the company of friends, in the sounds of laughter and tears, in the breaking of bread together and the sharing of lives. Expand my view, Lord. Let me look beyond myself, reach past my emotions and opinions and ego and instead lean on Your truth. Let me remember Who You are… All that You are… All that You have been to me—and all that You want to be to me. Give me the desire to embrace it, and let me be willing to change. Even if it’s painful or embarrassing or complicated. Because I don’t want there to be a wall between You and me. You came to remove those barriers, to give us unlimited access, to build intimacy with us and to share our lives. This is one gift that I don’t want to throw away—or leave in a gift bag stacked in a corner. I want to use every gift You’ve given me to its full extent. I want to come alive again, to be used by You, to be revived by You, and to be Your instrument, fully obedient and passionately dedicated and weary from overuse, not lack of use. I offer my life to You, again, fully surrendered and releasing control. I walk forward in obedience, not sure yet where I’m going, but doing my part to keep moving forward until I get clear direction. And I feel my hopes rising up as I anticipate finding You on this path in a deeper way. I am Yours, Lord, in every breath, every thought, every dream, every hope. Yours and Yours alone. Because there is no One else like You. Thank You for wanting me. Thank You for hearing. And thank You for the answer I know You have for me. Amen. One Sunday morning, a man visiting my church stood to give his testimony. In broken English, he described the scene in which he first saw the woman who would become his wife, the moment when he first felt God calling to him. That’s when my tears started. Because isn’t that what most of us want? To reach God, to commune with Him? With or without words. Let’s face it. I am a writer, and even I have those times when the words won’t come. Usually when we’re without words, it’s because we’re hurt. Cynical. Disillusioned. Heartbroken. Weary. We may have lost a parent or sibling or child or friend. We may be facing a broken marriage, a suicidal teen, an addiction, financial devastation, or abuse. Or maybe we’re just uninspired. Tired. Worn out from carrying our fears around. Exhausted from overscheduling and under-resting. Dealing with depression or illness or a million tiny little worries. I’ve been there, desperate for God but unable to draw my mind in, unable to reach out to Him, either verbally or in writing. And even in those moments, I’ve felt the irony. The only One who can truly make a difference in the situation is the One I can’t seem to talk to. But the truth is that words are not required. Prayer, in its most simple definition, is communion with God. I often think of it as a conversation, but it doesn’t have to be. 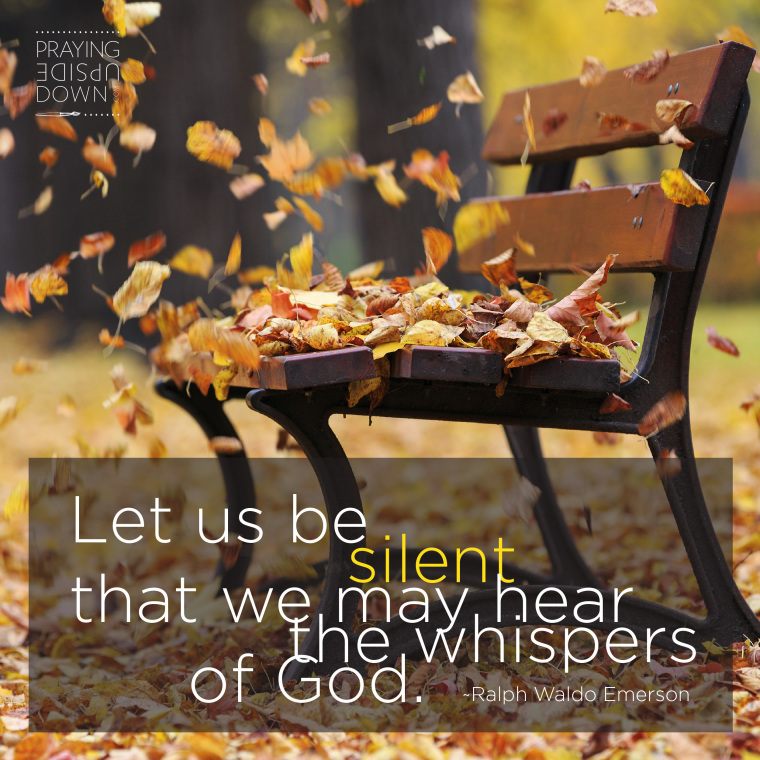 Have you ever sat in companionable silence with a spouse, parent or friend? Enjoyed a peaceful afternoon on the porch with a grandparent, no words needed? When I gave birth to my children, I had no words to describe what I felt, so I just sat there, looking at that beautiful new creation, soaking in gratitude. When my mom died, as I stood in the receiving line, some of my favorite people walked up, looked into my eyes, hugged me, and moved on. Without saying a single word, they communicated everything I needed to hear. Everything they wanted to say. Next time you feel stuck, when you stumble over words or are wrestling with emotions you can’t seem to wrangle, why don’t you try something new? Sit in silence, your mind focused on God. 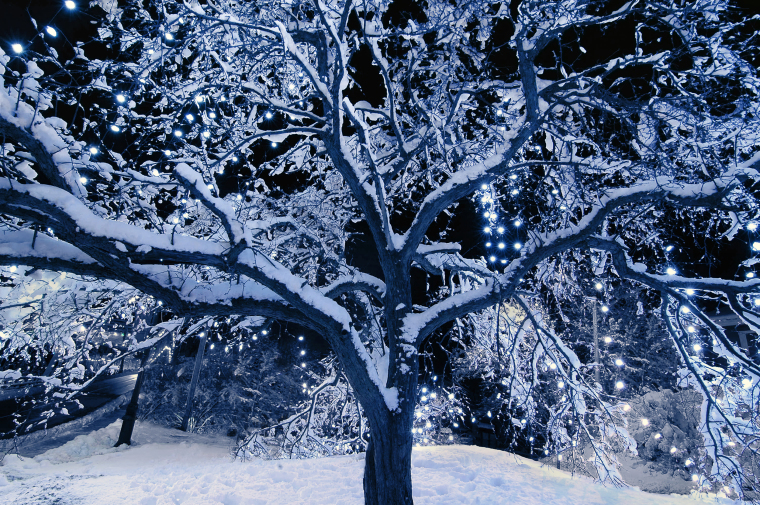 Look around and find the beauty in your environment. Draw a picture, doodling names and images and offer it as prayer. Work your way through your daily tasks, and keep the mindset of dedicating your work—laundry, cleaning, dishes, gardening—to God as an act of worship. 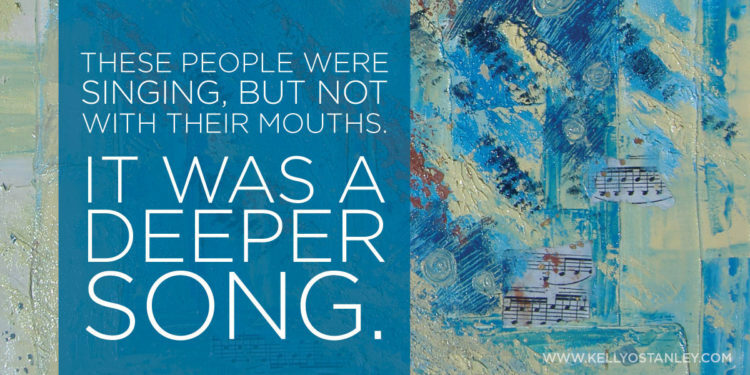 Listen to a piece of worship music and let yourself get lost in the sound. Or sing a new song, from a deeper place. It just might help you get past whatever it is that is blocking your path. I promise you, God will receive it. He will understand that it is prayer. He will know what your heart feels and what your soul needs. And before long, the words will come. But even if they don’t, you’ve still prayed, and in the process, you’ve drawn closer to God. Because wherever God is, lives are changed.